As the second part in our series of Istio service mesh tutorials, this article provides step-by-step instructions for canary deployments of service mesh using Kublr-in-a-Box. With Kublr-in-a-Box you can create a new Kubernetes cluster on AWS, Azure, GCP, or on prem and experiment with Istio. 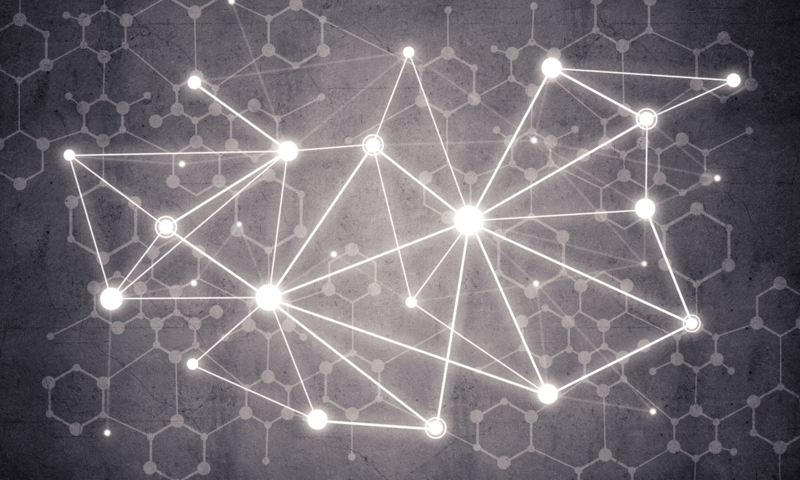 If you want to understand the theory behind service mesh, possible use cases, and the benefits of service mesh for both operation teams and developers, review part one of the tutorial where we also demonstrated the installation of service mesh into a Kubernetes cluster. For this tutorial, if you do not have a running test or development cluster where you can experiment with Istio, you may wish to try “Kublr in a box,” our self-hosted cluster manager. Kublr in a box allows you to create a new Kubernetes cluster on AWS or Azure cloud, or a bare metal server, which can be the local machine with VirtualBox. 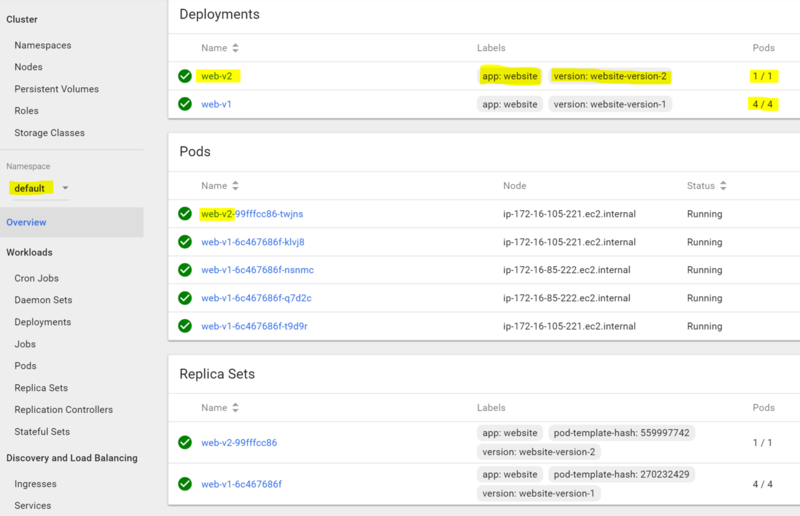 Starting with an active Kubernetes cluster with two or more nodes (for example, virtual machines on the same laptop), follow the “Quick Start” guide on Istio website to install the service mesh to your cluster. We will use an automatic sidecar injector, to avoid adding the Istio sidecar configurations manually into a local YAML file for each deployment. The manual option with “istio kube-inject” command was demonstrated in the previous tutorial. If your Kubernetes cluster is below version 1.9, you should still use the manual method before running “kubectl create” on a YAML file in the next steps of the tutorial. Imagine your organization has hundreds of microservices, dependent on several large data warehouses like Hadoop. Or the application has other specific requirements which will cause you to replicate massive amounts of data and use a large amount of resources and budget to keep a stand-alone “staging” cluster for testing the application. Keeping this staging environment is prohibitive. Instead, you’ll use a canary deployment with intelligent request routing achieved by Istio service mesh on top of Kubernetes. Starting with the demo application from the previous article, which has three versions of pods, each represents a different release of application components, part of the “complex application” described in the scenario. 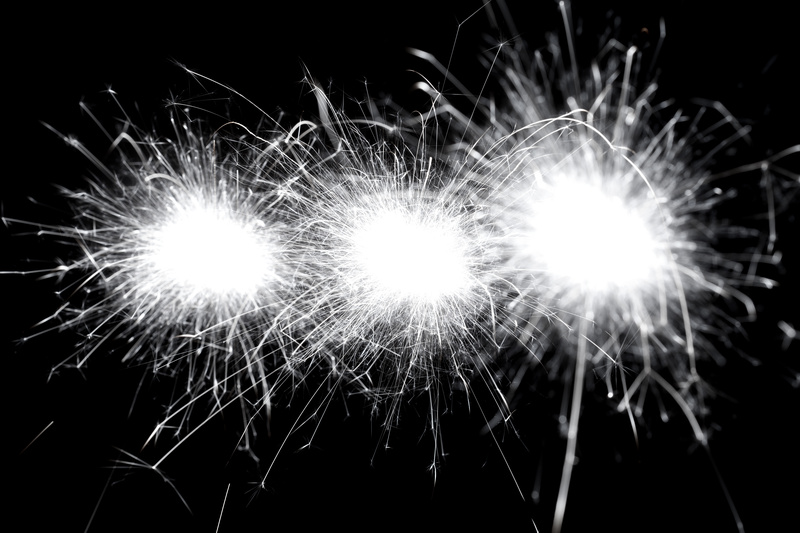 We need to test a new release on existing production cluster without affecting any real customers and users, however, we want to utilize the exact same data clusters and other dependent microservices, as if it was a real production release. That is why we are not testing it on separate staging environment but instead doing a canary deployment. Then, run “kubectl create -f my-application.yaml” to submit these resource definitions to the cluster. If you already have these from the previous Istio tutorial, simply clean up old resources by running kubectl delete on the old files that were used for deployment, because this tutorial we will be using different routing rules and old ones will interfere with the new setup. Before releasing the next version, we want to prepare the Istio service mesh to route most of the requests to version-1, and send only specific ones to version-2. We can do so by creating a default route pointing to version-1 only and create additional rules based on HTTP headers, that will cause the Envoy proxy sidecar (which is automatically added to any deployment we submit) to route specific requests to pods with the different version of the application. Now deploy with “kubectl create -f istio-access.yaml.” If you followed the previous tutorial, you may notice that this time we have no “subset” defined under “VirtualService” destination because we are deploying only one version now, and not yet ready to create routing rules. External load balancer passed the request to the istio-ingressgateway service. Our “website-gateway” is configured to intercept any requests (hosts: “*”) and route them. 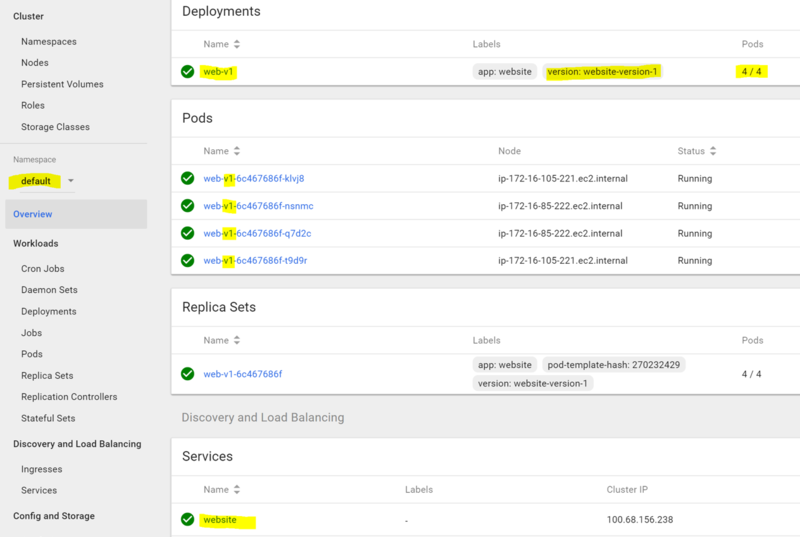 The “VirtualService” is a link between the gateway and destination pods of any request, any “host” (DNS name or Kubernetes DNS name when services address each other inside the cluster) can be defined only in one VirtualService. At the moment our VirtualService applies its rules on all requests (hosts: ”*”), so it routed the received request to the single destination it has: “website-version-1”. This will route to any pod which label “version” equals to “website-version-1” when a “VirtualService” uses the destination service name that we defined here in “spec.host” field (it is the Kubernetes “service” object name, the one we used in “spec.http.route.destination.host” field of “VirtualService”). The term “mesh” is a reserved keyword, versus “website-gateway” which is our custom name of Gateway. Any pod with the label “app: website” will get the traffic through this service – and it’s the only “service” we point to in the Istio “VirtualService” definition – regardless if the label “version” exists or not and what its value is. Now, we need to create service subsets, before deploying the new pod versions. The moment a new pod goes live (“version-2” canary) all Envoy data plane proxies (sidecars) and Istio ingress will already know where not to route the current flowing production traffic, because we will define that only pods labeled with “version: website-version-1” will receive the usual requests, not marked by our custom HTTP headers (that will be used in real life scenario by QA teams to test the canary release within production cluster environment. For the sake of learning we will first create a partial “DestinationRule” which only defines a single subset (“version-1” only), deploy version-2 pods, and after testing that the subset rule works, and protects users from getting the “version-2” website, we will update the “DestinationRule” with new setting that will allow us to access “version-2” with custom HTTP header. Now, deploy with “kubectl create -f website-versions.yaml”. By doing that we created a “subset” of “website” destination, named “version-1”. That subset, is any pod with “version: website-version-1” label and any other labels that are defined in “website” service definition (which is “app: website”). Let’s create few “version-2” pods, our canary deployment of a new, possibly buggy, version that we don’t want users to see but we must test in a real production environment. At this point we have four “version-1” pods and one “version-2” canary pod. Refresh the ingress endpoint few times to make sure you are not routed to “version-2”. Now we are ready to modify the routing rules, and send any HTTP request with header “qa” that contains “canary-test” value, to “version-2”. Click the right top “plus” to add a header, fill in the name and value, choose “add” action, then click “save”. Click the “start playing” button in the top left corner (the one which shows “stop” on our screenshot because it is already active), and click the “activate” button in the rule “actions” section on the right. With this setup, load the ingress page again to see the “version-2” blue page! 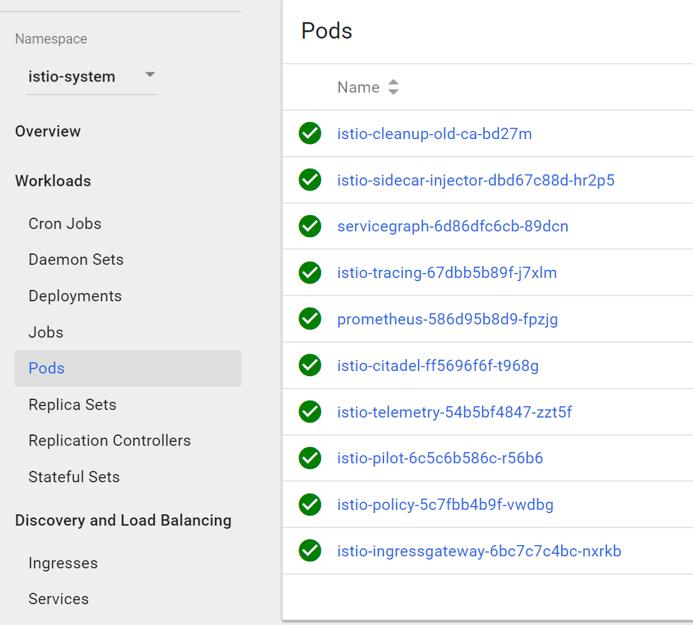 Using this canary deployment, we have an active pod with a new version of application, residing under same load balancer as all other pods, in the same exact environment (production) where we can perform the needed testing without affecting real users. Now try refreshing the page. You will notice that the Blue page (version-2) appears less often than the Green page (version-1). You can try other values and see how it affects the routing. This concludes the second part of our series of Istio service mesh tutorials. For assistance with other Kublr questions, unique scenarios, and applications, or to provide feedback, please contact a Kublr representative.